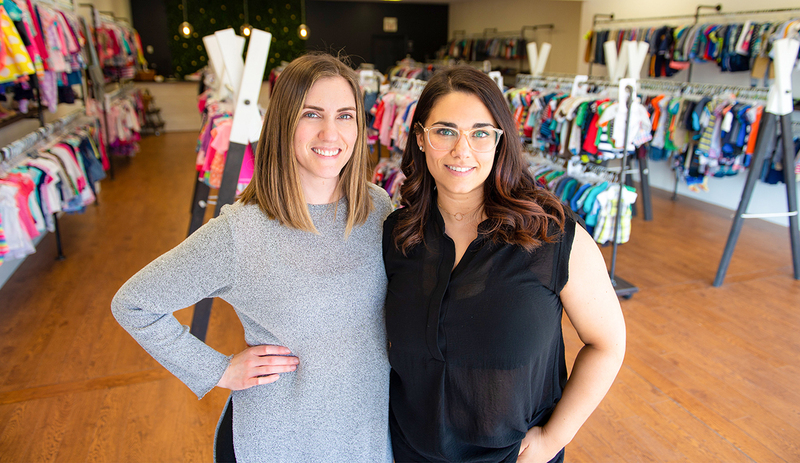 The opening of Sweet Lemons, a children’s resale boutique on Confederation Street, is a testament to Jerica Giresi’s determination. It also proves that lessons learned from one failed attempt can lead to a new and much more viable venture. It’s been seven years since Giresi opened the first Sweet Lemons on Russell Street. She was the sole proprietor, had no business plan, and no experience in choosing a location. There wasn’t enough retail traffic, and she hadn’t considered all the hidden expenses and details that afflict small businesses. Within the year, Giresi’s little shop had shut down. She took a few years off to focus on family, including her twins, but never lost the drive to be an entrepreneur or do something good for the environment by reselling used clothing. When the Sarnia-Lambton Business Development Corporation (SLBDC) launched a contest for a free storefront for a year, Giresi applied. Twice. She didn’t win either time, but said she learned a great deal about writing a business plan and marketing. The second time she applied to “Win This Space,” Giresi’s sister Brooke joined her. Brooke had worked for many years at a local photo studio, until a corporate decision shut it down. The sisters didn’t win the SLBDC contest but they realized it put them well on the road to opening their own store. They stuck with the name, Sweet Lemons. It’s cheery and memorable, said Jerica. And they took the time to find a high-traffic location with room for a lot of inventory and a photo studio. Sweet Lemons Children’s Boutique & Portrait Studio opened in November in Confederation Square, next to Toy Corner. The store accepts freshly laundered used clothing in excellent condition Thursday through Saturday. Items they choose to keep and sell are paid for outright, said Jerica. Within a few months of opening, the racks are nearly filled and customers have found the shop. Unlike the first time around, Sweet Lemons has computer software for resale stores that determines the price for 18,000 clothing brands. Popular brands include GAP, Carter’s, Tumble n Dry, Old Navy and Gymboree. It’s tough to keep enough sleepers in the store, said Jerica. Infant sleepers cost $3.99 while child sleepers are $4.99. A GAP Kids 5T dress sells for $9.99 while Old Navy 4T boys jeans are $6.99. Shoes and boots sell quickly too. A pair of Toms loafers size 8 boys are priced at $11.99. Girls Carter’s rubber boots size 7 are $9.99. Pricing often depends on condition. Brooke’s photography offers packages that start at $80. She has special promotions too. Details are available at www.sweetlemonsboutique.com. Sweet Lemons is located at 1030 Confederation St. and is open Tuesday, Wednesday and Friday 9:30 a.m. – 6 p.m.; Thursdays 11 a.m. – 7 p.m. and Saturdays 10 a.m. – 4 p.m. Call 519-491-5158. Got a great idea for a business story? 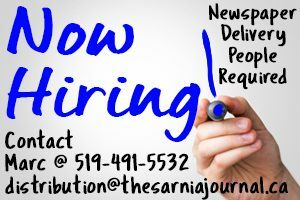 Contact cathy.dobson@thesarniajournal.ca.